My followers are not the same as your followers. With all of the summertime sales going on, and the hundreds of bloggers who publish posts every day, there's likely to be some overlapping. Although standing out and being unique is what makes all of us different, even if we're in the same niche(s). As over-saturated as this market may be, standing out is the most important thing you can do for your brand. Our followers aren't the same, and our readers expect different things from each of us. We all have different target audiences. Knowing who your target audience is is arguably one of the most important aspects of blogging. With every post you write, you have in mind how you're benefiting your specific audience. This could mean that even if you're promoting similar things to your audience as one hundred other bloggers, you aren't necessarily doing it in the same way or in the same tone of speech. For example, promoting a large-scaled sale, but promoting products you know your readers want to hear about, not just everything on sale. Everyone has a personal touch. No matter how similar blog topics may be, or how many bloggers in one niche there are, every single blogger can be differentiated between one another. All blog posts are angled differently, no matter how similar a topic may be. People are drawn to different bloggers for different reasons. Like I said, every blogger is SO different! Think about it for a second... are there any bloggers who are identical? No; even when I think of comparable bloggers in my head, I can still point out differences in a heart beat. Everyone has a different style - of writing, clothing, taste, etc - a different voice, a different perspective and a different life from one another. Brands are drawn to different bloggers for different reasons, too. Have you ever heard a "no" from a brand you pitched, even though your friend just signed a contract to work with them? It happens, and that's because every one of us is different. Your unique voice sets the tone for every post on your blog. Are you quirky and offbeat, or more formal in your tone? Do you bang out statistics, or like to make your readers laugh while they drink their morning coffee? Even if your posts differ between all of these, your readers read your posts because they like your voice. We all have different strengths. Each and every blogger has different strengths - your strengths are what your readers love, and that's what you should pride yourself on. As hard as the comparison game can be, and wanting so badly to have strength in every department, at the end of the day your readers rely on you for what your blogging strengths are. If you struggle to find what said strength(s) are, think about how you can be unique. A lot of people feel as if bloggers posting about the same sale/topic or addressing the same concern is redundant and it can be, but if you showcase your strengths then there is no true comparison. Tweet: If you showcase your strengths there is no true comparison. You know what your readers want and look for. Whether it be from reading your analytics, conducting a reader survey or asking on social media (Twitter polls are a GREAT tool!) you can find out what your readers like to see and what they want more of. Doing these things plus interacting and engaging with your readers ensures that you know exactly what you should post more of! Over the past few months, my style boards and tips have done well, along with promoting sales in fresh, not-so-common ways. The more you use the tools you have at your fingertips, the better you'll know your readers and what makes them your readers. If you know what your readers like and know that every single one of us has a different take on everything no matter how similar two post topics may be, then you'll know that my followers are not the same as your followers. If you want to post about a popular topic even though it seems over done, do it; your take will be different than the others! excellent ideas - and I understand totally how followers who are true will follow us for the right reasons, not just for clicks. I love this...it isn't about competing...it's about building one another up! ahh this is probably my favorite post of yours! Its so true and more bloggers need to take this to heart! I can't believe how many bloggers I see that pop up with a similar tagline as mine or similar mission, but the execution is totally different! And if someone does try to replicate, it always falls flat, because of all the reasons you mention about that makes a blogger unique! Love the message in this post! Yes- everyone reads a different blogs for different reasons. Sometimes I totally forget too that people in my real life read my blog and my blog might be the whole reason they're introduced to fashion blogs! YAAAAS! Every now and then I'll see another blogger do a post similar to something I JUST posted and get a little grrr... but ultimately their voice, their take, and their readers are all different from mine (or at least not quite the same) and it can be interesting to read a different spin on a topic you've covered! These are all so true!! Thanks so much for sharing, it was a great reminder! Yes yes yes - we are all so unique and have different life experiences and expertise that resonate with different people and therefore different audience. Love this and it's so true, comparing yourself to another will not help anyone but will only be hurting you. I also agree on how everyone one's voice is unique in it's own way and that's where the difference in followers come in. Thank you for sharing this. Such a good and encouraging message to other bloggers! We rise by lifting each other up! Amen to this! It's so easy to fall into the trap of being a "basic blogger" and posting about the same thing everyone else is but, like you said, your followers like you for you! Yes, yes, and yes! I love this post. The points are just spot on. Love this! As a new blogger, I feel intimidated by wanting to cater to a dedicated audience knowing that there are bloggers out there that have a tribe of loyal readers. I know that these things take time. I get excited thinking about how I'm working on developing my following of people who actually like what I have to say vs.people who are just driving traffic. I love this post! 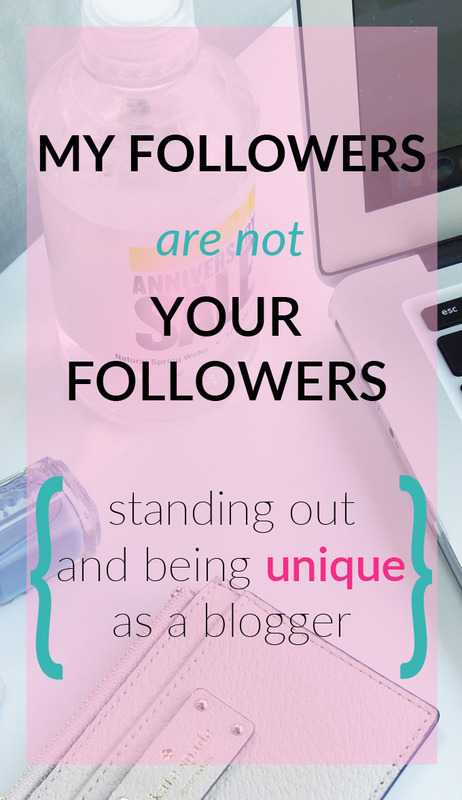 Every blogger is unique and have their own readers! I love this. It's so true about bloggers. While I might fall into the niche of fashion, I feel like everyone still has their own personal tastes. I'm so glad you wrote this — you want to build community, not competition! I can't think of anything more I would add to this. Our uniqueness is our strength. And I won't even get started on the comparison trap. Even after two years of blogging I am still unable to capture who my audience is but I continue writing as though everyone will read my blog. I don't think I've built a community yet but I am sure I will get there one day. I love this post I totally agree! This is so very true!! Being unique and authentic are the only ways to truly stand out as a Blogger. I can't count how many times I've seen the same topic across several blogs but each one reads, feels and gives a different take away. Great Post! Love this! While I think that targeting other's followers initially while you're growing/finding your voice is ok, but completely relying on that method just isn't ok! We're all so different even if we blog about the same things, so it's important to find your own audience in the end. I could not agree more with this! I am always telling my fellow bloggers this. Thanks for sharing babe. This is a strong post! Thank you so much! I needed to hear this because I realize I am different from others and wondering if I should post what others are doing? But, I have decided to stay close to what excites me and makes me different. Learning to stay authentic to my voice! This is a great post! 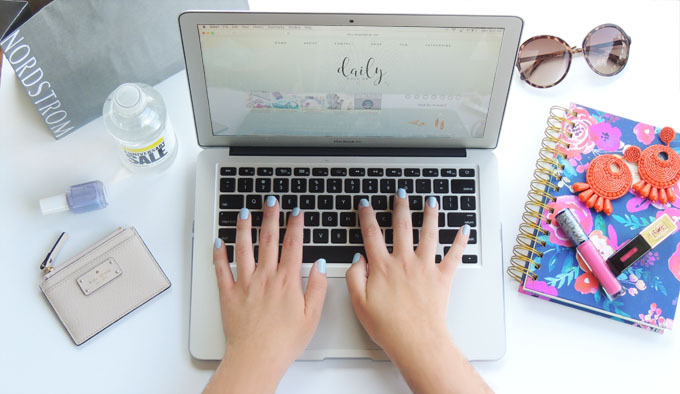 I think we all get a little frustrated when we see a lot of similar posts (summer sales, as you mentioned), but it's definitely important to remember that each blog has a different audience! Sharing this on social media! I love this post. Even if a blogger writes about the same topics or the same kind of post, their unique writing style and voice will attract different types of readers! And the people said AMEN! There are just *so* many factors that come into play - you've gotta just stay in your own line and do yo' thaaaang! I just love this! It's so true! Even if we do have overlapping followers... those people come to each of us for different things! So much YES! I have been struggling with Instagram growth and I definitely have to think about these points! So many good points! I've been working more on finding my own voice and catering towards my audience! We all gotta find our own grove that works for us and keep at it! Everyone definitely has their own voice and once you find it people will who have the same interests as you will come!